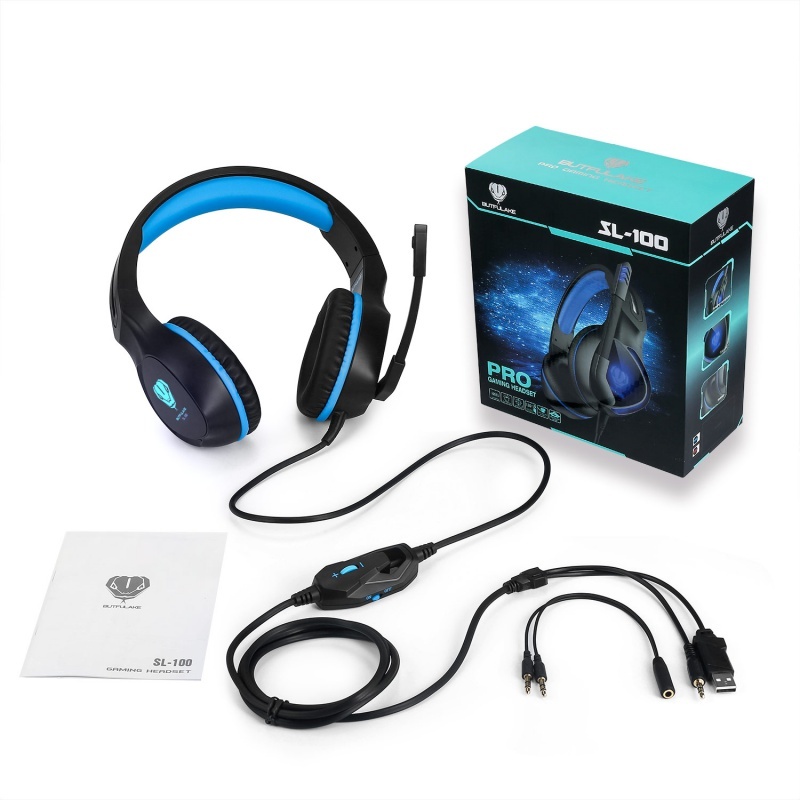 SL-100 is a primary kind of gaming headset, which brings you vivid sound field, sound clarity, sound shock feeling, capable of various games. Its super soft Over-ear pads is more comfortable for long time wear, and it is a great headphone for game player! High precision 50 mm driver, bring you vivid sound field, sound clarity, sound shock feeling, capable of various games. 3.5mm connector, it is suitable for iPhone 6 / 6 Plus, Samsung S5, S4, LG, Xiaomi, iPad, PC, laptop, tablet,PS4，XBOX ONE，etc.